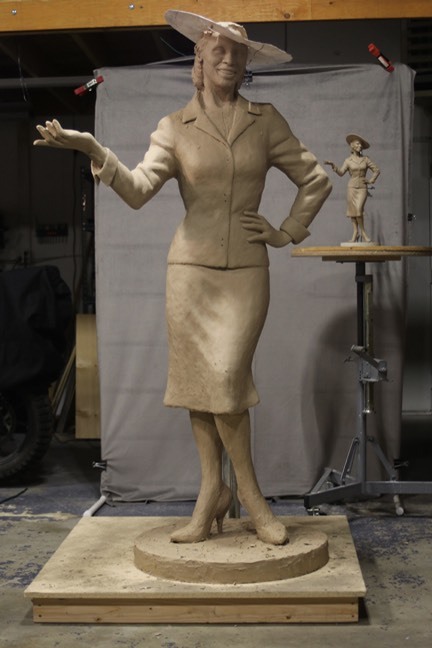 The following book and information may seem out of place in the Fannie Mae Duncan Sculpture blog but bear with me while I share and explain this unexpected connection of a Holocaust Survivor to Fannie Mae Duncan. Every March and April I become very introspective and somewhat consumed by thoughts of World War Two and the Holocaust. It happens like clockwork and I’m not sure why. Perhaps it is in the nature of the artist to delve into such things regularly in an attempt to understand and try to make sense of people and their actions - how we can be so cruel to one another…and yet, how we can also be so caring and courageous. Inevitably I am drawn to books about the war and people who experienced this great tragedy - to both honor them and to learn from them. Dr. Viktor Frankl’s book “Man’s Search for Meaning" has long been one that I re-read and study but this year I learned of another Jewish Survivor who came to America and eventually became a therapist to help others. 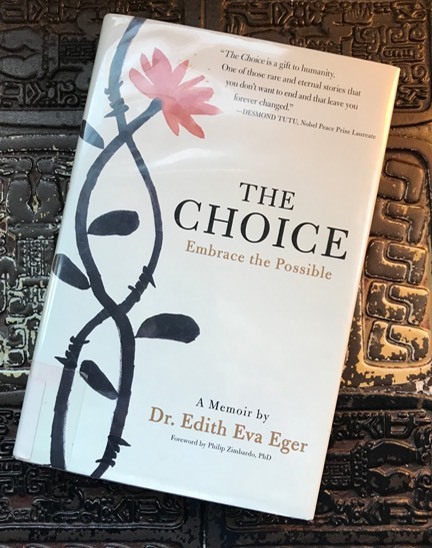 And so I read “The Choice” by Dr. Edith Eva Eger. Now why do I mention this here? On this blog? Because of something Dr. Eger wrote on pages 271 and 272. You see, Dr Eger was one of the few still alive following the death march from Auschwitz. Starving, broken and no longer able to walk she and her sister were piled with the dead at Gunskirchen, Austria. An American GI, part of the liberating force, noticed a little bit of movement and dug her out from among the dead. That GI was African American. In 2010 Dr. Eger was invited to give an address at Camp Carson….where she was overwhelmed to see the insignia of the 71st Infantry Division. The insignia sparked her memory of that fateful day and she realized that her liberators were from that unit and from Camp Carson. I don’t think that the books that I pick up to read are random choices. They are nods and nudges. My yearly melancholy and searching for meaning about this war led me to this book. It touches my heart to think that the some of the American liberators of Dr. Eger may very well have sat the soda fountain at Camp Carson before shipping out overseas - served an extra scoop of ice cream with a wide and welcoming smile by Fannie Mae Duncan, herself. Holocaust survivor—tells her unforgettable story in this moving testament to the resilience of the human spirit and the power of choice in our lives.